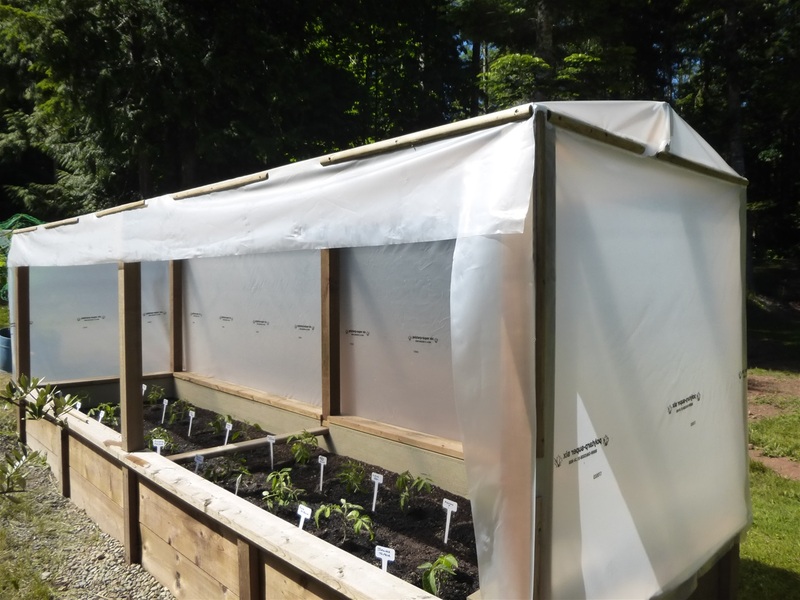 After planted seedlings and new Poly cover. 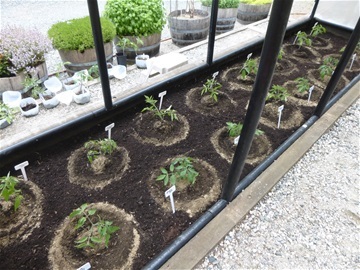 More minerals added surrounding seedlings in a moat like circle for best watering. 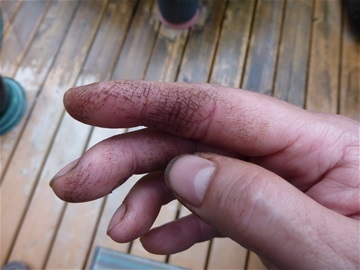 Use "Food Safe" gloves to protect your hands of tomato vine secretions when handling. 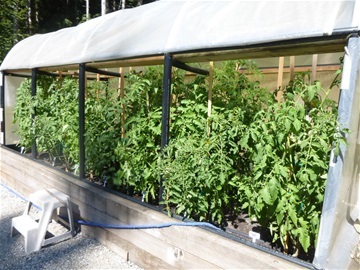 Tomato plants after first thinning... done a few times while growing. 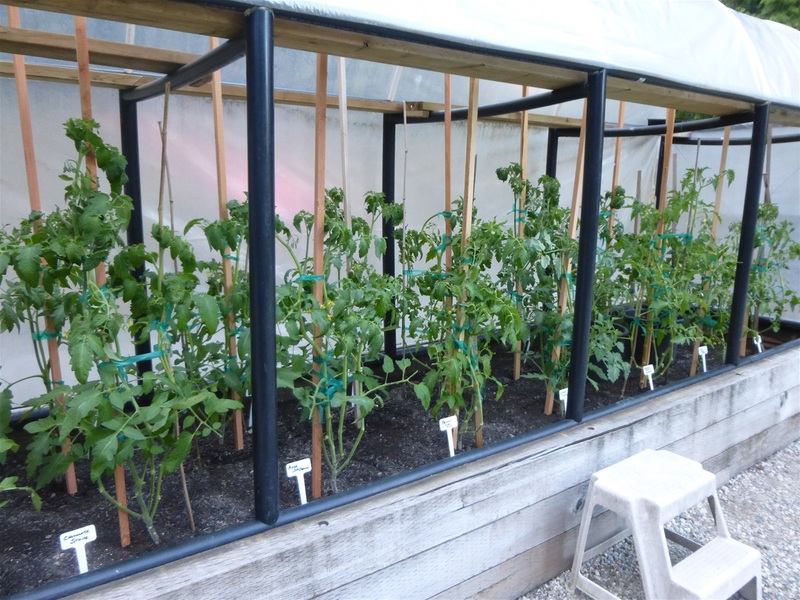 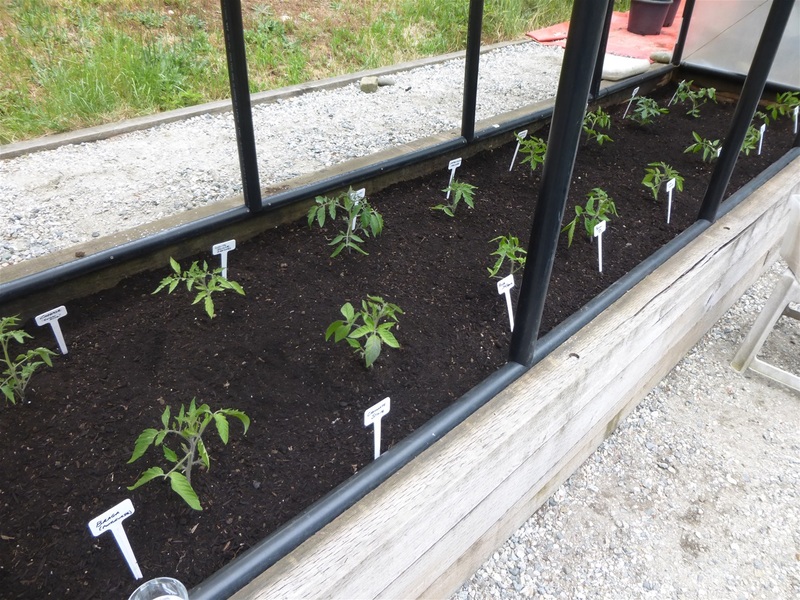 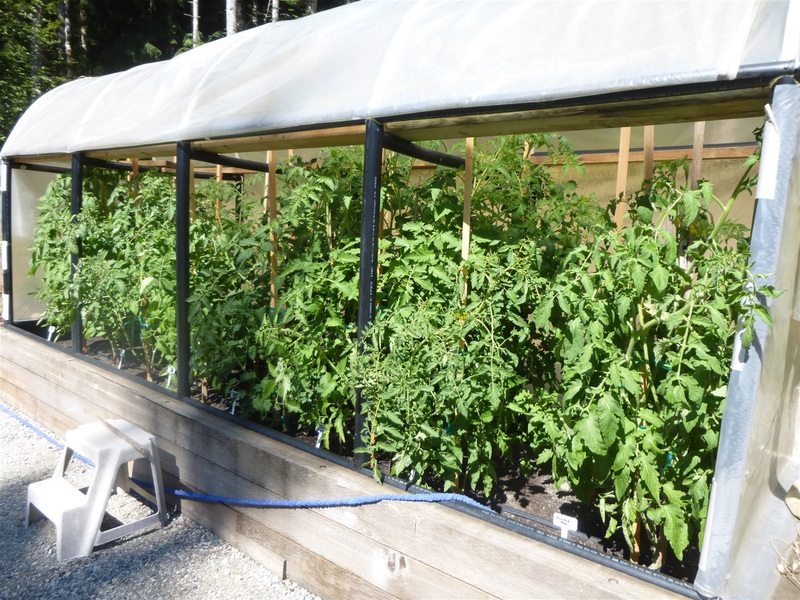 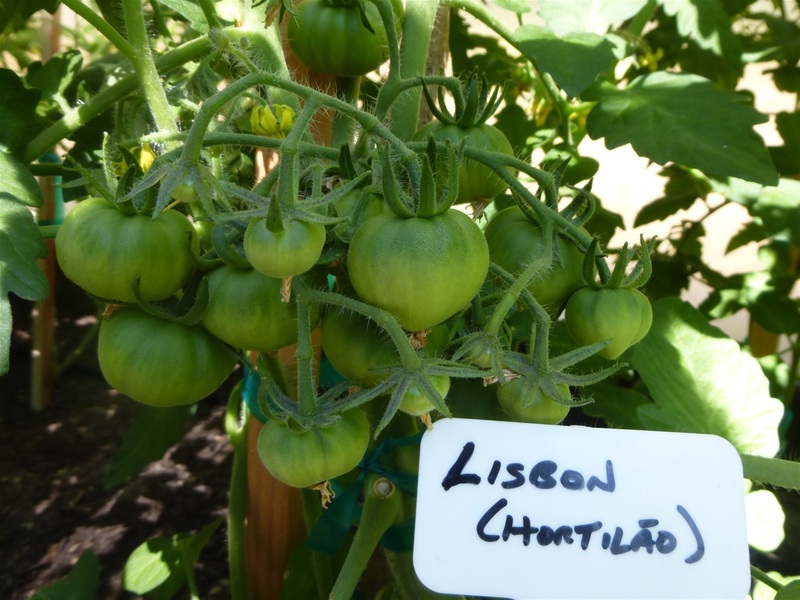 July 23, 2018 10 days after thinning and tying the tomatoes and they have grown already a foot to a foot and a half and need re-tying as they grow. 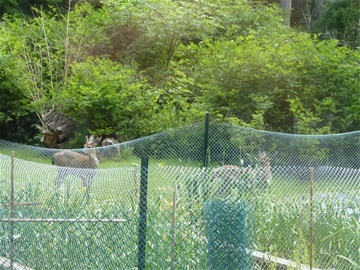 Deer love garlic greens... protect open-air gardens... lol.